PersonaWorld is filling the video library with tons of JoJo's Bizarre Adventure All-Star Battle content. Watch the latest offering inside. 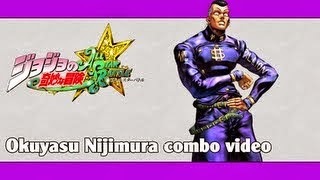 The JoJo's Bizarre Adventure All-Star Battle combo videos keep on rolling. PersonaWorld has done it again with the game. Now, Okuyasu Nijimura gets to shine.